It’s been fantastic to see so many Companies across the Brigade joining in the celebrations and holding birthday parties since the start of the new session. On Friday 15th September we came together to celebrate 100 years to the day when The Boys’ Brigade started working with young people under the age of 12 through the formation of the Boy Reserves. Today we are thankful that this work continues, with the Junior Section age group reaching out to more than 15,000 children across some 1340 Companies every week in the UK & RoI. 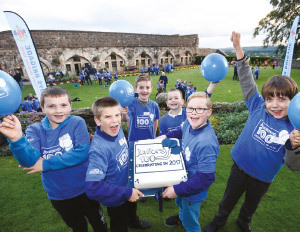 If you haven’t already, then check out The BIG 100 Birthday Celebration Guide which provides you with ideas and programme resources to help you with planning and running your party. There’s still plenty of time between now and the end of the year to plan and run your birthday party. 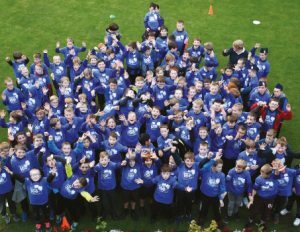 We’ve also seen lots of progress with the Juniors 100 Challenge, with activity on social media showing Companies going through and completing the challenges. How many can your Company achieve by the end of the year? Let us know how you are getting on by posting on social media using #juniors100.